WASHINGTON (Reuters) - The United States will withdraw or deny visas to any International Criminal Court personnel investigating possible war crimes by U.S. forces or allies in Afghanistan, Secretary of State Mike Pompeo said on Friday. The court, which sits in The Hague, responded that it was an independent and impartial institution and would continue to do its work "undeterred" by Washington's actions. Washington took the first step on Friday with Pompeo's announcement. "I'm announcing a policy of U.S. visa restrictions on those individuals directly responsible for any ICC investigation of U.S. personnel," Pompeo told a news conference in Washington. "These visa restrictions may also be used to deter ICC efforts to pursue allied personnel, including Israelis, without allies' consent." Pompeo said the policy was already being implemented but would not elaborate, citing visa privacy laws. "These visa restrictions will not be the end of our efforts," he said. "We're prepared to take additional steps, including economic sanctions, if the ICC does not change its course." Human Rights Watch called the announcement a "thuggish attempt to penalize investigators" at the court. 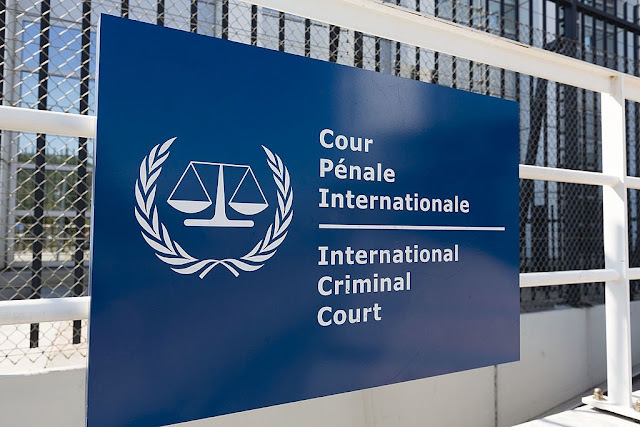 "Taking action against those who work for the ICC sends a clear message to torturers and murderers alike: Their crimes may continue unchecked," the group's Washington director, Andrea Prasow, said, calling on U.S. lawmakers to express support for the court. In November 2017, the ICC prosecutor requested authorization from judges to initiate an investigation into alleged war crimes and crimes against humanity in Afghanistan since May 1, 2003, including in states where the CIA held prisoners. Judges are reviewing all material submitted by the prosecutor, and must decide whether or not to authorize an investigation. With 123 member states, including the entire European Union, the ICC was established in 2002 to prosecute war crimes, genocide or crimes against humanity when a country is unable or unwilling to prosecute perpetrators. Major powers, including the United States, China and Russia, are not members. A State Department official said the United States would allow court officials to travel for meetings to the United Nations headquarters in New York. "Under these measures, we will not interfere with travel to the U.N. for official U.N. purposes," the official said. The ICC is not part of the United Nations.